I ran into a problem with NTLM Client Authentication Mismatch after I upgraded my Edge and Director to Lync Server 2010 from OCS 2007 R2. 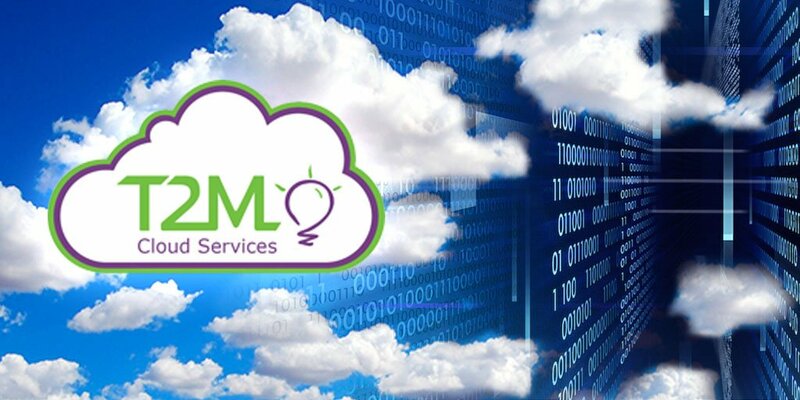 Text: There is a mismatch between NTLM security settings on client and server computers. A quick search of the net I found an article on Tin Cips and String blog that gave the key to solving the problem. Turns out the problem has more to do with the Operating System rather than Lync Server 2010. I had to spend a little bit of time hunting for the group policy that the blog and technet article referenced. Here is where I found the group policy. I changed the Default Domain Policy from Not Configured to Configured with the "Require 128-bit encryption" unchecked. I have been deeply involved with Unified Communications since 2003 and there is ultimately only one thing that can make or break a deployment. Along with having a well-designed user interface, the audio device and quality of the call should be of utmost concern. If the user has consistently bad calls and problems configuring and using an audio device, then it makes no difference how great the rest of the features are. I've also found that users who have bad experiences remember those bad experiences for a very long time. Today, Plantronics has announced some products that have some features that promise to improve the user experience and in some cases make using an audio device nearly effortless. All three of the Calisto 800 series speakerphones blur the line between home, mobile, and office communications. There are options to connect to a PC, mobile phone, and even a standard analog line. A headset can be connected corded or cordless with Bluetooth. Along with the usual features of full-duplex, HD audio, Plantronics has added an intuitive visual display that allows a user to control many aspects of the call from the speakerphone. Users also have the option to use a wireless lapel microphone that gives the ability to move around freely. How many times has someone done some white boarding and people on a speakerphone have a hard time hearing what is being said? How many executives like to walk around their office while discussing their next big strategy to take over the world, but don't want to be bothered with a headset? ﻿Plantronics is trying to make using a wireless headset completely painless and they just might have succeeded. They have now included smart sensor technology to detect when the user is actually wearing the headset. Now, I thought with the release of the Lync client and the crazy simple ability to switch between devices was pure genius. But now, Plantronics even does the devices switching for you as you place the headset on your ear or if it is not on your ear it will send the call to your phone. I can't tell you how many times I've answered a call and forgot that the last time I made a call I was using a headset. All of a sudden, I'm hunting around for the call window so I can switch my device back to my desk phone. 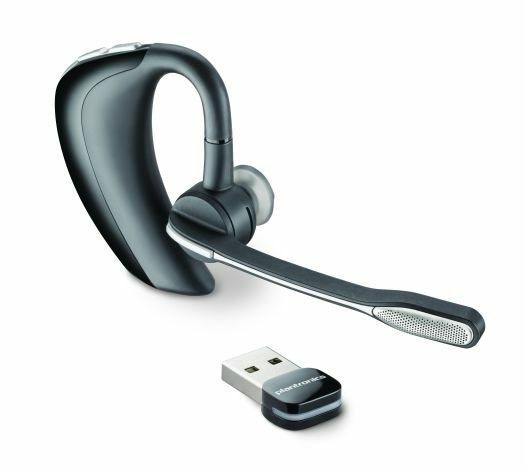 This headset will even set your presence in Lync to busy if you have answered a call from your mobile phone using the headset. I simply can't wait to get my hands on a new Calisto speakerphone and Voyager PRO UC. This morning I came across the article of how to "convert" RCC from OCS 2007 to Lync Server 2010. Although you can indeed enable RCC on Lync, it still blows my mind as to how many pieces there are to this solution and how complex it is to troubleshoot. I understand the desire to utilize an existing PBX investment. After all I used to work for a PBX manufacturer. For some customers they may be required to keep the PBX for tax reasons. That's right… A USB cable. When Enterprise Voice is enabled on OCS/Lync there is an option to deploy an IP Phone or USB audio device. Both options, when connected with a USB port on your PC, automatically are detected and start to behave like an RCC solution. You can make a call from your PC or your phone and if you put a call on hold using your phone you can pick up using your PC. Same goes for mute and anything else the phone can do. The PC client can even sign in the IP phone for you, saving you from that annoying LCD touch screen. It is seamless, and easy. Because it is so easy, I think a case could be made to justify the replacement of the PBX phones just in the cost of installing and maintaining RCC. Total Cost of Ownership is a big deal with RCC because it either costs a lot to hire a professional that can understand both telephony and data, or you have a to pay a systems integrator that understands both telephony and data. I have done a lot of RCC systems and none of them have gone smoothly. There is always some little issue that takes an enormous effort to resolve. 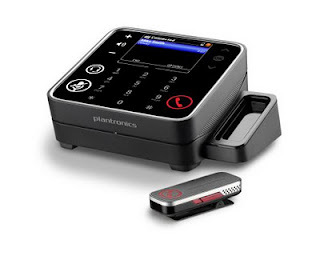 With a USB cable, you have all the OCS/Lync features available and you can control a real phone on the desk. If it is an IP phone, then when the PC is gone or shutdown it will still operate as a stand-alone phone just like the PBX phone did. So what do you say? Weeks and possibly months of troubleshooting or a USB cable. Feel free to contact me (at jmckinney at time2marketllc.com) if you would like to talk more about this solution or to setup a demo so you can experience what this solution looks like.